GPS and Ground Survey Topography – KC Engineering and Land Surveying, P.C. 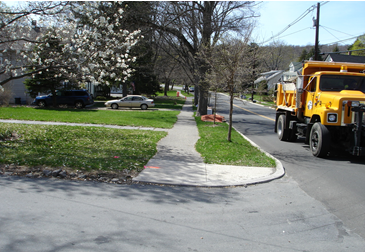 KC provided base mapping for four sidewalk rehabilitation projects in the Village of Warwick. Additionally, KC conducted topographic and right-of-way mapping for an on-going drainage study in the Pond Hill Road area, including soundings and profiles of the pond. Other services included GPS location of well sites and piezometers for various municipal projects throughout the Village.